Ooma is a simple business phone service designed to provide users with reliable call automation solutions. It offers tools for call routing, unlimited calling, extension dialing, and more. 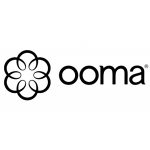 In this article, we cover Ooma reviews and pricing. Ready to get started? Request a demo. Ooma provides voice-over-internet-protocol (VoIP) and security solutions for both home and business purposes. It also offers software as a service (SaaS) communications hub that enables users to perform cloud-based telephony, implement home security, and connect the system to other similar services. Ooma’s business VoIP solution, Ooma Office, has been winning first place in the PCMag Business Choice Awards in the past five years. One of Ooma’s current products is a VoIP solution designed to provide enterprise-grade services to small businesses. This service allows computer networks and other mobile devices to follow standard features that are provided by traditional phone lines. The cloud-based system enables users to perform end-to-end calls through a stable internet connection. VoIP also relies on real-time data transfer that lets users transfer audio and video media without any delay during a call. Ooma’s VoIP solution provides users with a basic plan that includes a local phone number used as the main phone line. It also gives users access to a direct dial number, fax number, and conference call number. Toll-free numbers and low international call rates are offered as well. Its virtual receptionist tool lets users automate call rerouting using artificial intelligence. Ooma’s VoIP service provides users with a portable calling tool that enables them to connect with their customers anywhere in the world through high-speed internet dialing. VoIP services including Ooma offer a multi-functional and flexible approach to customer outreach through its conference calling and number porting capabilities. Users who gave Ooma a positive review commended its ease of use and affordability. They also mentioned notable tools such as customized messages, digital faxing, and virtual assistant. One user who gave Ooma a positive review on Software Advice said that it effectively streamlines his virtual office’s inbound and outbound communications. He also commented that its virtual assistant feature enables him to receive and manage calls when he is not available to take a call personally. Users who gave Ooma a negative review suggested improvements on its mobile app, system implementation process, and phone number porting. Some users also complained about its customer support team’s lack of promptness and responsiveness in addressing their concerns. One user who gave Ooma a negative review on Software Advice reported experiencing difficulties when using its mobile app. He said that whenever he closes the app, he is no longer able to receive calls on his smartphone. Ooma pricing is at $19.95/user/month. Each Ooma subscription includes a local phone number that serves as a user’s main line, direct dial number, unique fax number, and conference call number. The first phone number provided by Ooma is free. However, there’s a fee of $9.95/month for every additional number. There is also a fair usage limit of 5,000 minutes/user/month for outbound calls. For businesses that have more than 20 users, additional hardware is required. For more information, interested users may contact Ooma’s sales team. Ready to get started with Ooma? Request a demo. 6 Best Small Business VoIP Phone Service Providers 2019: VoIP phone services are internet-based alternatives to traditional landline phones. In this guide, we shared our top recommendations based on affordability, basic features, and supplementary tools. Can users transfer their existing phone number to Ooma? Ooma allows users to port their existing phone number to the platform. It requires users to maintain their current phone service for about one to two weeks before the transferring process is completed. What hardware is required for users to set-up Ooma? Ooma requires users to have a stable high-speed internet connection and a regular phone. Have you read these Ooma reviews and are still not sure if it’s the right fit for you? Read our reviews of all top VoIP service providers. Ooma sets up the account quickly, has inexpensive equipment, and has friendly support. Ooma is not very customizable. From their portal you are limited to their preset settings and cannot easily setup your own custom extensions. Their mobile app is not good. It is a step in the right direction, but doesn’t sync with your calls as other VOIP apps do. It does not ring like a call, just a notification. I wish I would have known that you cannot have customized extensions. We tried to switch but weren’t able to because we couldn’t use our long established extensions. They did not have a way to work around this either, their suggestion was to just change it. Not going to happen when the extensions are published in all of our literature. We use the virtual receptionist to manage who’s taking calls. The After Hours feature lets us have a whole different set of prompts and contacts for the user, on a schedule that we manage. Very helpful. The features let us run lean and still have our customers find us. Once, in five years, they’ve had a system outage. They handled it pretty well – were honest when I called them about what was happening and what to expect. Calls still went to our receptionist, we just couldn’t make calls on those lines. I would have moved sooner if I’d realized how much money we would save and how superior the service is compared to Century Link. Easy to customize the phone options online. Good customer service. Lots of different options for directing calls. Only works well with strong internet connection, will disconnect from base station for up to a couple days sometimes. I wish I had known it works best with very strong internet, in our area the connection just did not keep up. Misleading free trial offer. Shipping charged and not refunded as promised. Return shipping not covered in 100 percent free trial unlike what rep promised. ignoring our requests to cancel.